Endangered whooping cranes now have an additional 278 acres of habitat on which they can live during winter. The 278 acres involved two critical habitat acquisition projects for North America’s last wild flock of migratory whooping cranes. 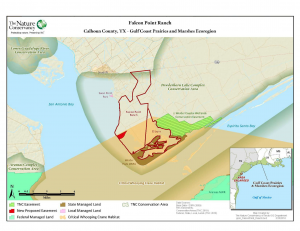 In one project, three conservation groups partnered to purchase the privately-owned 178 acres in Holiday Beach area north of Rockport, Texas. Sale of the property closed last week. The endangered whooping crane flock spends the winter in the area and some have often been observed on this property. This important property purchase was coordinated by Coastal Bend Bays & Estuaries Program, Whooping Crane Conservation Association and Texas Parks and Wildlife Department. In a second project, The Nature Conservancy made known the protection of more than 100 additional acres of whooping crane winter habitat. 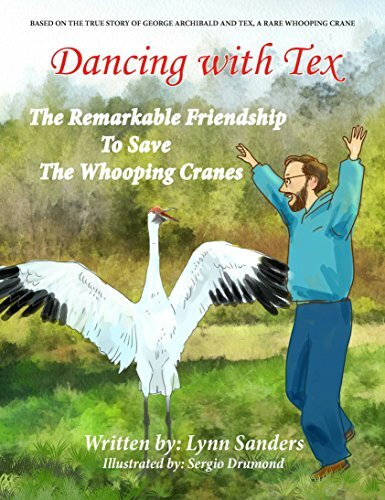 With funding assistance from Whooping Crane Conservation Association and U.S. 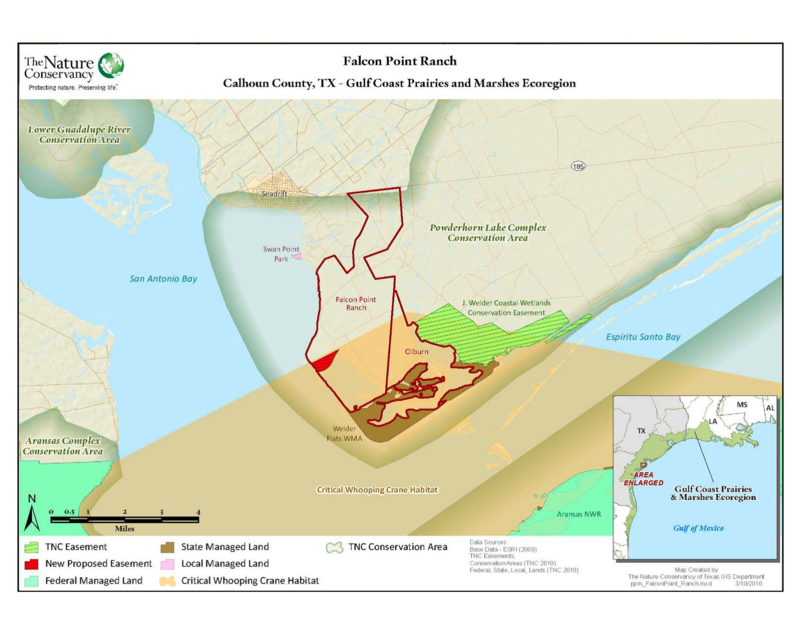 Fish and Wildlife Service, the Conservancy purchased a conservation easement on Falcon Point Ranch in Calhoun County, Texas. The Conservancy purchased the conservation easement for $605,000 with funding from the United States Fish and Wildlife Service, a $200,000 grant from the Whooping Crane Conservation Association and funds from private donors and foundations. Falcon Point Ranch is located in a coastal region known as Welder Flats. Today scientists estimate that at least 10 percent of the remaining flock (approximately 25 – 30 birds) winters here. 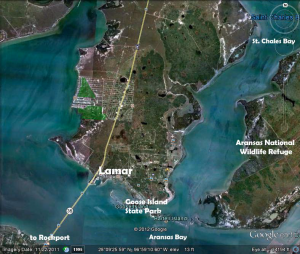 The topography of the property and its waterfront views on San Antonio Bay made it a prime target for development. Ecologists worried that the development of the ranch would not only compromise important habitat on the property, it would compromise surrounding conservation lands as well, including properties the Natural Resources Conservation Service (NRCS) division of the USDA has protected within the last three years. The whooping crane population, which breeds in Canada and then migrates 2,400 miles south to the Texas Gulf Coast, declined from an estimated 1500 to just 15 birds between 1850 and 1945. Since then, cooperative conservation efforts between the U.S. and Canada have increased the population twentyfold. 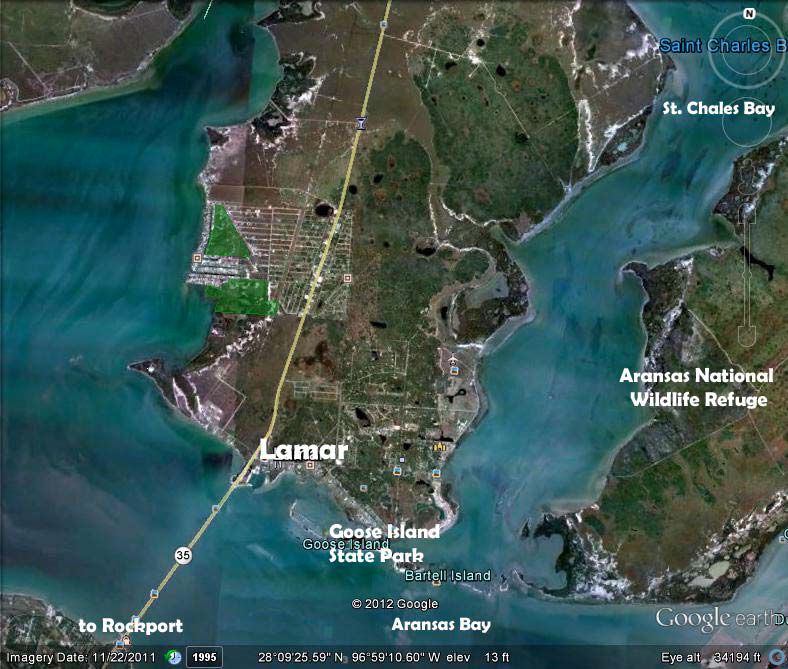 Today there are an estimated 300 wild cranes in North America that migrate between Aransas National Wildlife Refuge in Texas to Wood Buffalo National Park, Canada. The properties now-protected by these two projects will provide important additional winter habitat for the endangered whooping cranes. This entry was posted on Saturday, June 2nd, 2012 at 2:26 am	and is filed under Association News, Flock Status, Headline. You can follow any responses to this entry through the RSS 2.0 feed. Both comments and pings are currently closed.